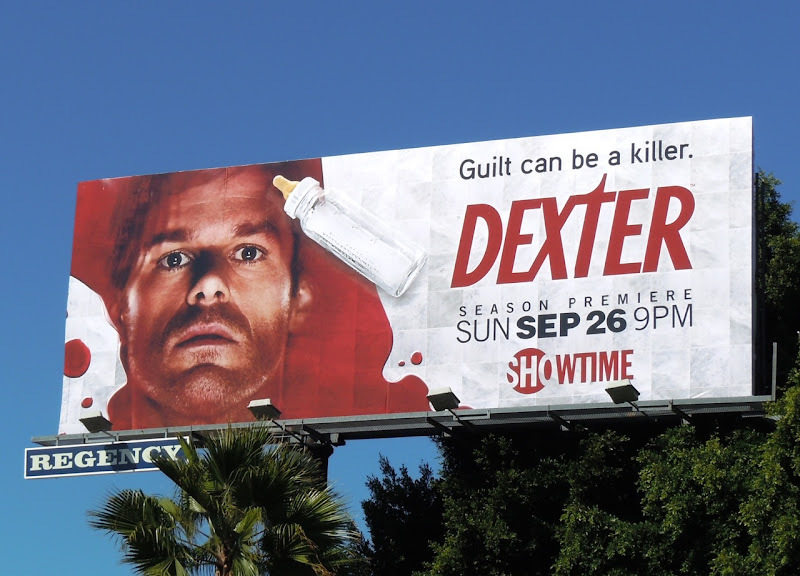 Dexter returns for the Autumn television season with this fantastically ominous billboard and the foreboding words 'Guilt can be a killer'. There's something quite jarring about seeing a pool of blood, a baby bottle and Michael C. Hall's haunted look. It's certainly an eye-catching visual. This Showtime TV billboard was photographed along Sunset Boulevard on September 10, 2010. 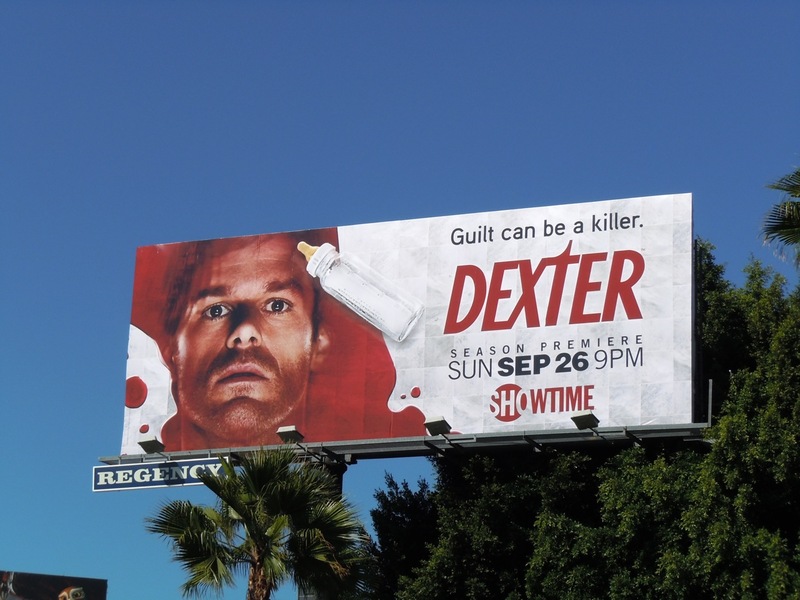 Be sure to check out billboards for Dexter season four and Dexter season three here at Daily Billboard.